There’s an interlude in the ballet Fluidity of Steel that looks like the aftermath of a football game. 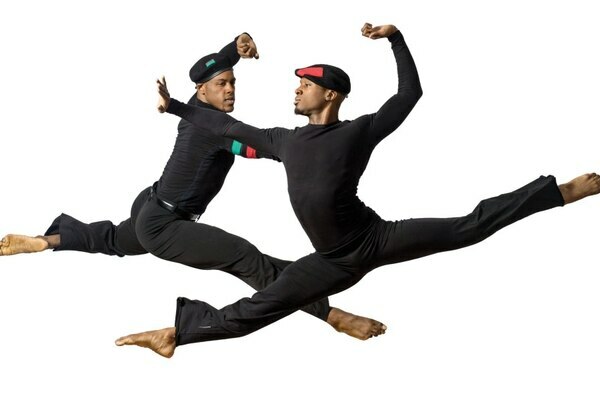 The 12 male dancers wear tight, muscle-sleeve shirts and white leggings, at one point running around the stage chest-bumping and yelling a call-and-response of “woo” and “yeah” like their team just won a game. 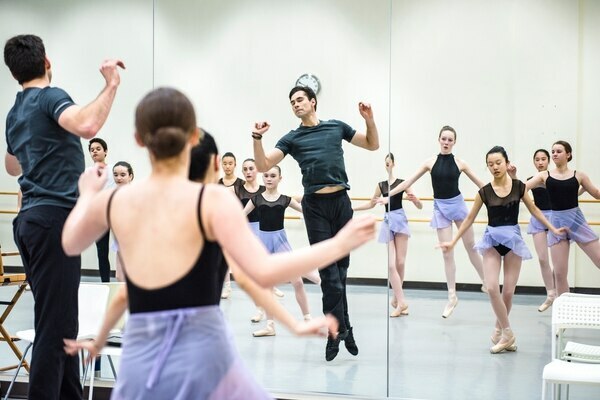 The hyper-masculine chaos resolves when the dancers form a line across the stage, strike muscle poses and stare at the audience with expressions that are somewhat aggressive, somewhat dead in the eyes. 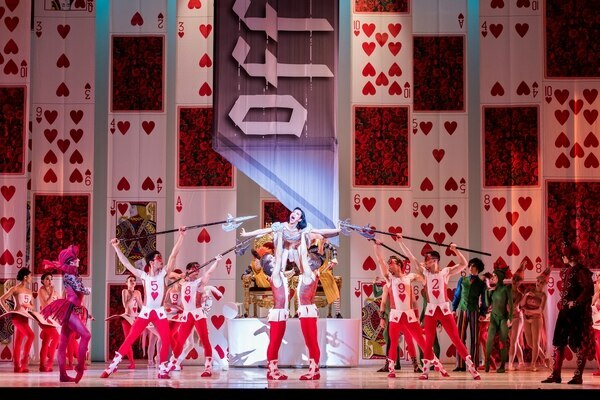 In one of the most ebullient scenes in Oregon Ballet Theatre’s Alice (in wonderland), Alice (Xuan Cheng) and the Mad Hatter (Brian Simcoe) duke it out with the Jabberwock. It’s not a surprise that our heroes triumph against the dragonlike bruiser. It is unexpected, however, when Alice celebrates their victory by flexing her muscles and striking an Arnold Schwarzenegger-style pose. Seemingly off-the-cuff flourishes like this make Alice more than a nostalgic revisitation. OBT’s production mixes Lewis Carroll’s psychedelic children’s story with Septime Webre’s choreography and Matthew Pierce’s giddy music. Invigorated by James Kronzer’s multicolored set design and a cast whose grace as dancers is matched by their charisma as actors, the performance makes Carroll’s quirky and menacing dreamscape feel entirely new. Artur Sultanov’s Ballet Career was Secure. Then He Left Russia and Came to Beaverton to Train Champions. 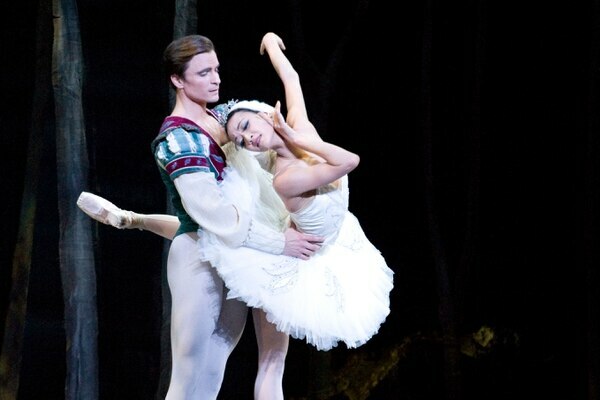 It’s still about Prince Siegfried (Peter Franc) who falls in love with Odette (Xuan Cheng), a women under a spell that turns her into a swan during the day. But in an attempt to create a more realistic and relatable story, OBT cut out the part of the evil sorcerer, von Rothbart, and focused the plot around Siegfried instead of Odette. Outside of ballet, Xuan Cheng says her life is pretty boring. She knows people who go on hikes or stay out late partying, but after rigorous rehearsal, she doesn’t have the energy.